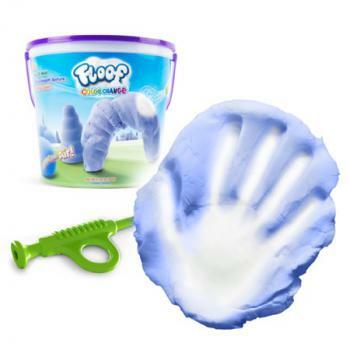 Color Changing Floof: Special already-made dough that goes from blue to white with the warmth of your hand or blow air through the included horn. Soft and smooth to feel. Enough for 1 or 2 players.